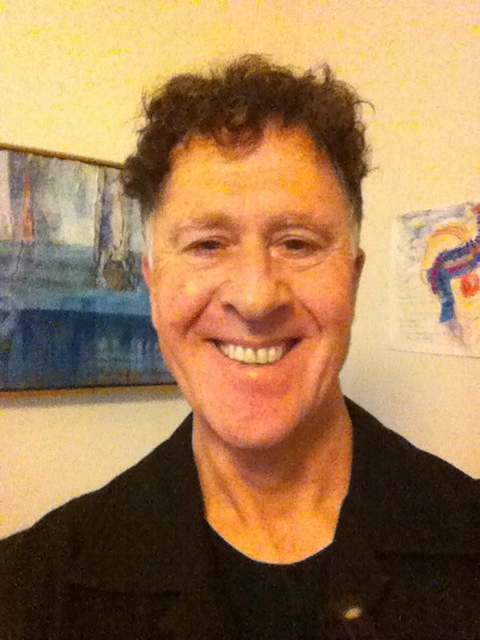 I am a Melbourne based artist and facilitator of fun, creative programs and projects for people of all abilities, based on my firm belief that we are all creative beings. Woman-made is the business name under which I operate. It is a sole trader business about art, encouragement and mutual inspiration. Woman-made provides a focal point for the creation and appreciation of art using explorative techniques and recycled/found materials: providing accessible art works, products, services, exhibition opportunities, discussion and ultimate client satisfaction. As well as the offerings listed below I am currently co-facilitating (with Angela Pollock) a pilot for people with young onset dementia through Surrey Hills Neighbourhood Centre. An application is pending to continue this program in 2019. A small group of like-minded carers who meet once a month on a Tuesday morning. I facilitate fun activities in a relaxed setting. Each session explores different avenues for creativity. A fun, creative program based out of my home in the city of Moreland, with fortnightly excursions to see and experience art. For people of all abilities who enjoy making and learning about art in the broadest sense of the word. 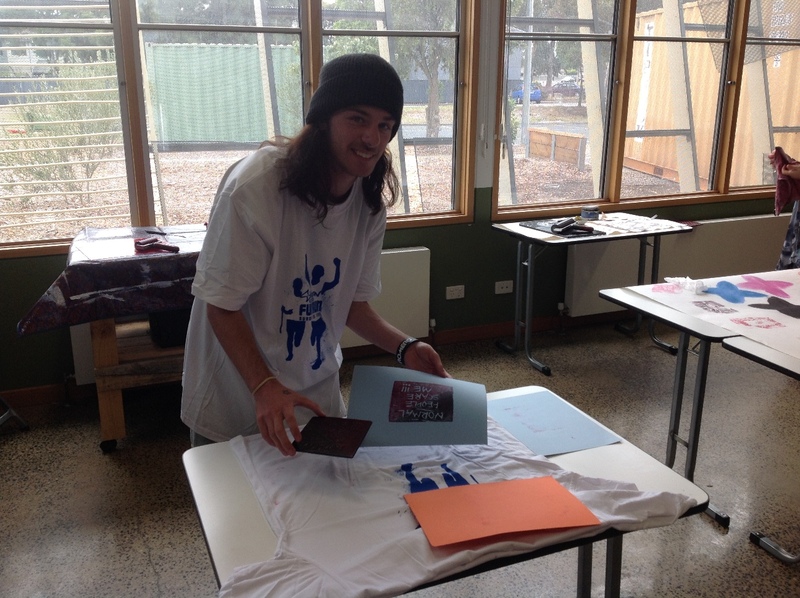 Fortnightly art making sessions. This group is actively involved in exhibiting, leasing and selling their artworks. Have a look at the Make a day facebook page to find out more. Fun, facilitated social art-making sessions; groups of between 2 and 10 people, organised at private homes, community centres, businesses, wherever you would like! You provide the refreshments and I bring the materials and activity for a seriously fun creative session. My annual innovative, inclusive and inspiring arts project celebrating self-expression and demonstrating how we are all different but socially connected artists. I have been running Level Playing Field since 2015, based on my firm belief that we are all artists. The project involves people of all ages, abilities and backgrounds having access to the same materials, techniques and colour palette (the same set of rules) to each create a unique, quality artwork. 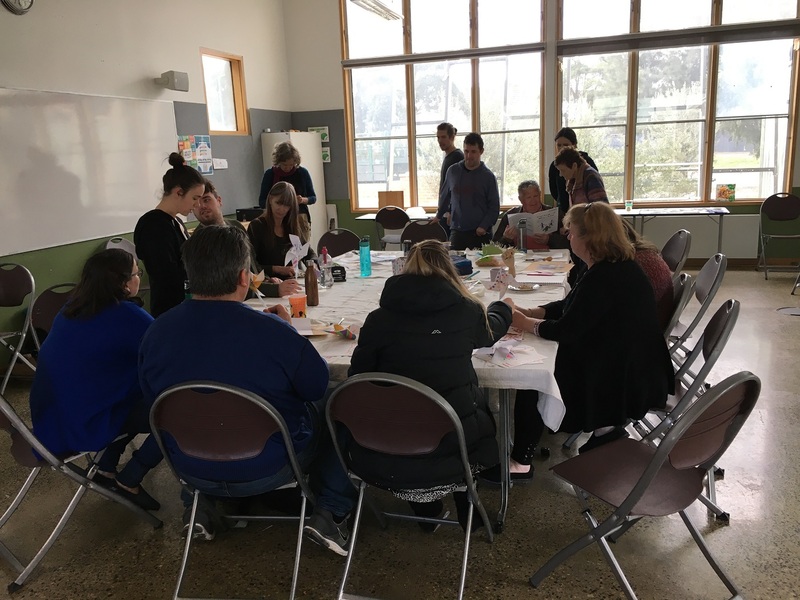 Over several months each year I facilitate fun, facilitated social art-making sessions; groups of between 2 and 10 people, organised at private homes, community centres, businesses, and here at our home in North Fitzroy. The art-making process involves use of everyday coupled with quality art materials. Each year the art-making process and outcome are different, carefully selected and designed to be accessible and to provide a level playing field. This element of surprise makes the whole experience intriguing and fun. The completed artworks are then shown in the Level Playing Field exhibition at the iconic Stephen McLaughlan Gallery in Melbourne. Exhibition currently running 12-29 September. A fun, inclusive evening of fashion and creativity which has been held on 2 occasions so far; in 2017 and 2018. Angela Pollock (occupational therapist and artist) and I have instigated and organised this event which celebrates self-expression, individuality and the power of re-using and recycling. It is a truly inclusive event. Created by the community, for the community, and thanks to all the volunteers involved, Strutt Your Stuff demonstrates what can be achieved when we all work together. See the film about Strutt Your Stuff 2018 at https://youtu.be/sPkWeduT0yM Angela Pollock and I are currently collaborating with Span Community House in Thornbury, to mount this event again in March 2019. Sheena is an excellent facilitator. 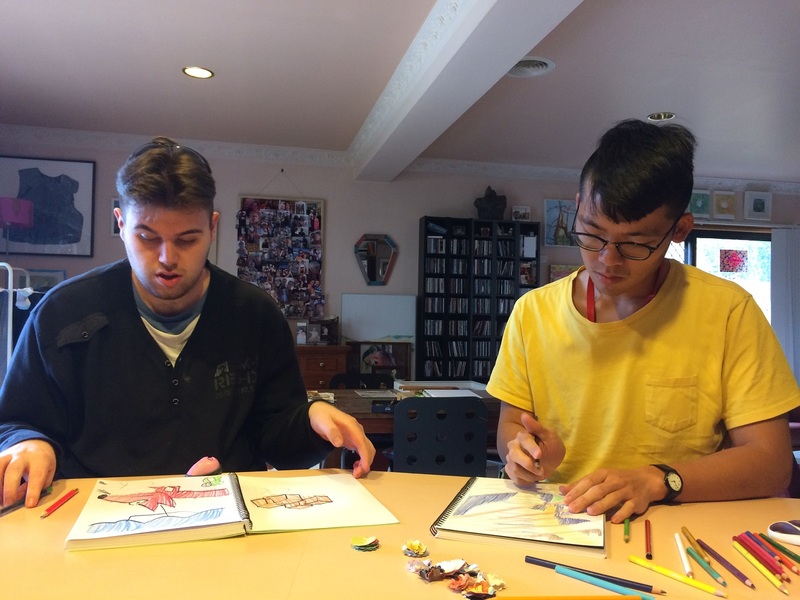 Her strong belief that everyone is an artist provides a foundation in her classes that enables all participants - adults, young adults and children, with or without a disability - to feel accepted and empowered as an artist. This ability of Sheena's to make art accessible for everyone is rare. Contact Sheena about any of these opportunities.